Stanford Advanced Materials provide our customers with pyrolytic graphite and pyrolytic boron nitride (PG/PBN) composite heating element and heater. PG/PBN composite heater is extremely pure and could work under high vacumn circumstance. Both PBN and PG has very high maximum working temperature, making the PBN/PG composite heating elements have great performance. High purity and high performance pyrolytic boron nitride is used as the substrate for the PBN heating element. 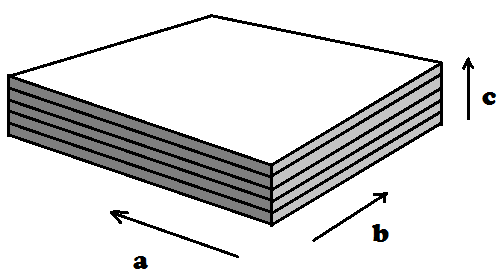 Pyrolytic graphite(PG) is placed on the surface of PBN plates by CVD method as conductor and heater. Dependends on different requirements of applications, the PG heating element could be covered by PBN again or just stay open. As both PG and PBN are extremely pure (99.99% or even higher) and very stable in vaccum or inert atmosphere, the PBN-PG heating element could be very durable and keep the chamber clean. It could be heated to 1600C in very short time without emmision of any gas component. These heating elements are ideal products for semiconductor industry and applications that requires high temperature, high vaccumn and high purity. We also provide PBN crucibles, tubes, and plates! Compared with normal boron nitride ceramic, pyrolytic boron nitride (PBN) has raw materials with much higher purity level. PBN sheets, discs and other pytolytic boron nitride products are synthesized on the mold by chemical vapor deposition (CVD) process, with BCl3 and NH3 at high temperature and low pressure. the PBN products are extremely pure（99.99%）, as the purity of vapor is easier to be controlled. Most of PBN products made from CVD process have total impurity of less than 100 ppm. With such a high purity level, PBN plates are ideal products for semiconductor industries. Similar with graphite, boron nitride has great strength at high temperature. High purity PBN products have even better mechanical properties. As the solid material is formed by CVD process, density of the products could almost reach the theoretical value. PBN products provided by Stanford Advanced Materials also have great thermal shock resistance. Plates of PBN could be heated to more than 2000 degree and dropped in to water without get broken. Stanford Advanced Materials also provide pyrolytic graphite(PG) products. Click here or send an inquiry for more information.